YouTuber MrBeast, who’s most well-known for the generosity that’s led him to dole out more than $1 million to other people on his rise to garnering more than 14 million YouTube subscribers, has signed with Dallas-based talent management and digital marketing agency Night Media. 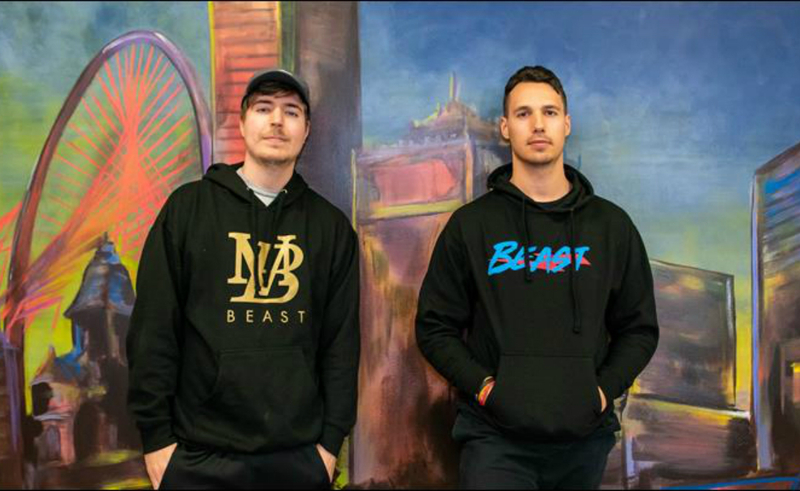 The agency will represent MrBeast, whose real name is Jimmy Donaldson, in all areas, including branding licensing, and content distribution. Donaldson was brought on by Night Media founder Reed Duchscher. Night Media’s digital talent roster nets a cumulative total of more than 600 million monthly views, the agency said. (Donaldson makes up around one-third of that just by himself, as his channel garners between 150 and 250 million views each month for, as mentioned, his generous stunts, but also wackier things like saying “PewDiePie” 100,000 times in a 12-hour marathon stream.) Other represented talent includes versatile gamer Preston (formerly PrestonPlayz), who has 8.3 million subscribers and nets around 100 million views per month, and Fortnite pro SSundee, who has 10.5 million subscribers and brings in between 75 and 100 million monthly views. For the uniniated, here’s an example of a well-received and recent MrBeast upload, where he combined two themes commonly found in his programming: competition and big money giveaways.